Here’s something we all know: sooner or later, your children are going to grow up. It’s a bittersweet time, I know. When my oldest stepchild started thinking about going to University, it was a hard time for me. Even though he was already on the scene when I married his father, the two of us were virtually inseparable from the beginning. Seeing him go ahead and take off for something as important as University made me feel odd. What would I do now? He wouldn’t be home — he’d have a new life, with new friends who all wanted and deserved his time. It wasn’t like I would just be able to follow him, you know. It was way too old for that, and I had things I needed to do around the house. So I really thought about it, being a financial blogger and all: what would I want my son to know before he stepped out into this world that demanded so much of him? It’s a question that all parents should be asking — and aunts and uncles too. We need to teach the children in our life the importance of being able to take care of oneself financially. The classic stereotype that follows all college and university students is that their new life is all about partying and making out with whoever looks the hottest at the events they go to. But that’s not true at all. The truth that I want my son to know is that this part of his life is so short — shorter than he can ever imagine. He’s going to graduate and be in the real world where nobody really cares whether you went to school or not. They’re going to demand a lot out of him, and they’re not going to really give him a lot of room to make mistakes. Finance is like that as well — you really have one shot to make your finances the best possible. You can clean them up, but it’ll never quite be like the blank slate you had when you were starting out. It’s like your first impression — you start getting a bad reputation, and it takes a while to shake. 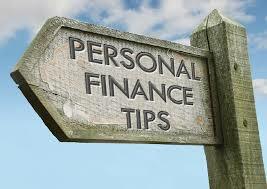 If you start messing up the due dates for your bills, creditors will feel that you’re a bad credit risk on the whole. You’re not keeping your word. If I told my son I was going to do something, but I never actually did it — eventually he would stop giving me chances. He might need to see me do something with his own eyes, rather than just trusting me. This parallel plays out well into the financial world as well. At first, creditors will give you small limits, where you’re basically using their money for your purchases. It’s a good deal, considering that you’ll pay them back with interest. However, the party stops when someone doesn’t get paid. Now instead of being able to use their money, you’ll have to get a secured credit card. This is basically when you have to put up some of your money in order to make things happen. It’s not the best type of credit out there, but it can lead you back to making solid decisions about credit. The company you keep has power over your finances in ways that you don’t really think about. My son was a very friendly and outgoing guy in school, and he had plenty of friends. But friends can build you up… or let you come crashing down. I was grateful that he chose good people, so I never really worried too much. But in University, everyone wants to be liked, and sometimes they will encourage you to do things that you never thought you would end up doing. It’s a hard decision that has to be made, but you have to make it — do you chase being liked, or do you stand on your own principles. It’s my deepest hope that he will make the right decision, but I can’t force him to do it. Now we have other problems, like saving. When you don’t make a lot of money while you’re in school, you have to figure out how to make the best of what you have. Avoid going out all the time. You should be able to make a few foods in the dormitory, and the cafeteria’s meal plan should cover the rest. If you don’t have a residency requirement for the University all 4 years, then you can move off campus and see about saving some money. But it just really depends. Credit is an issue that should be discussed as well. A lot of University students still have help coming from Mum and Dad, so creditors prey on them. I shouldn’t say “prey”, that is really negative. But they know a good prospect when they see one. They point out to the students that this is their chance to get credit, to use credit like an adult, to feel like they’re in control of their lives. If I could sit down with my son, I would tell him that credit isn’t evil. However, credit is all about timing. If he knows that his income isn’t the highest right now, he needs to wait until he has the money to take care of his bills. There’s nothing more important than that. If you can’t pay something outright, then chances are good that you need to wait until you can. Getting into a bunch of debt isn’t wise, especially when it’s credit. Now then, what about extra student loans? It’s all about what major you’re studying. If you’re studying in a programme that’s going to lead to a high future income, then you should definitely do that. You just need to make sure that you take the time to really figure out which direction to go. And if you’re a parent, you need to apply that advice to your children — they won’t necessarily appreciate it now, but there will come a time where they are grateful for it — I promise. While I’m on the topic of credit, I would be remiss if I didn’t cover saving. Saving is something that can be hard, but it’s worth it. Put away the money that you have into an ISA whenever possible. It’s a way to have your money tax-protected, and that’s a good thing. As you make more money, you’ll want to contribute to a pension program. It won’t matter to you now, but as you get closer to retirement age, it will matter a great deal. You should also have enough money for a rainy day. Being able to have peace about your monthly expenses whether you’re working or not is a very powerful thing. It’s all about the choices you make, the people you keep, and the life that you want to live. Beyond everything else, I want my son to realize that his financial life is about him. It’s very tempting to give into what other people want you to do. You might see that everyone has a girlfriend but you, but do you really have money to hit all of the hot places and eat out all of the time? Not if you want to make other goals. That’s why the financial blueprint concept is actually so important. We want to be able to have a financially balanced life, otherwise we’ll never really get what we ultimately desire. That’s really the long and short of it. So, if you have children, or you’re a big influence on a child’s life…pass these tips on to them. You just never know what impact you’ll have. There are so many things I wish I could undo as a teenager, but now that I know better…I do better. So will you and so will your children.